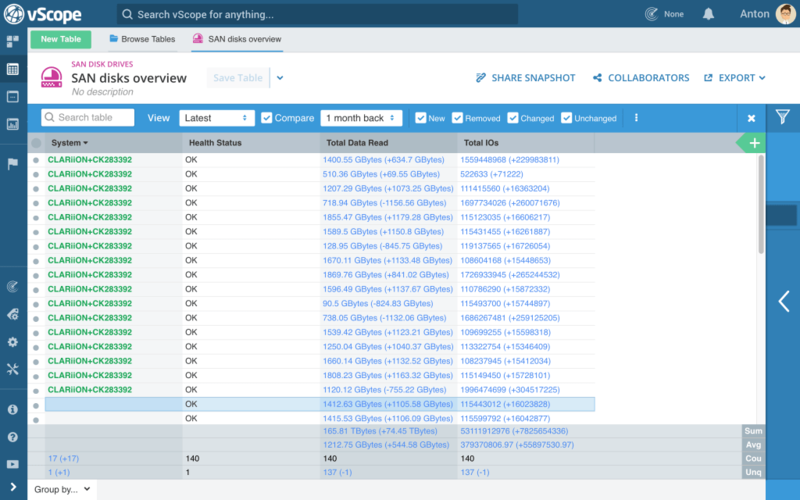 vScope Storage offers an intuitive way to overview usage and configurations of storage systems. NAS, SAN and similar storage solutions have dedicated management tools that often require expertise to operate. Creating storage reports, and optimizing for better utilization and cost efficiency can be time consuming an depend on key persons. 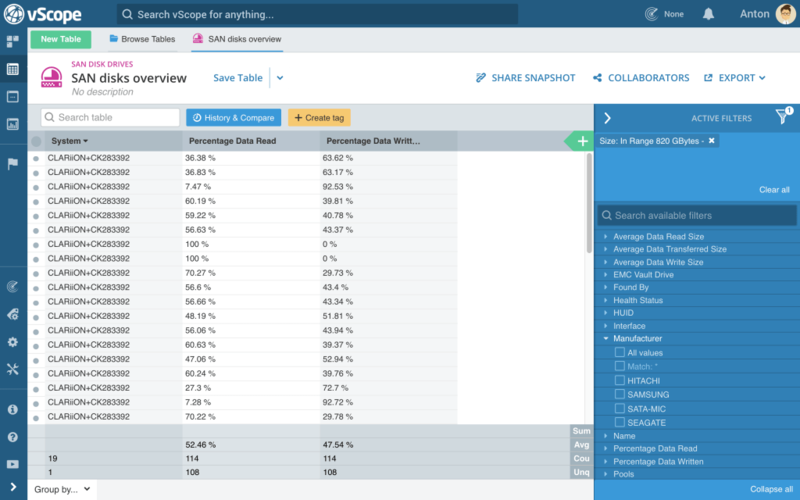 With vScope Storage you can collect relevant information from a single view, build proactive analysis and share reports with your colleagues. No prerequisites needed to get started which means that vScope Storage is the product for both management and technicians looking for better insights about storage. 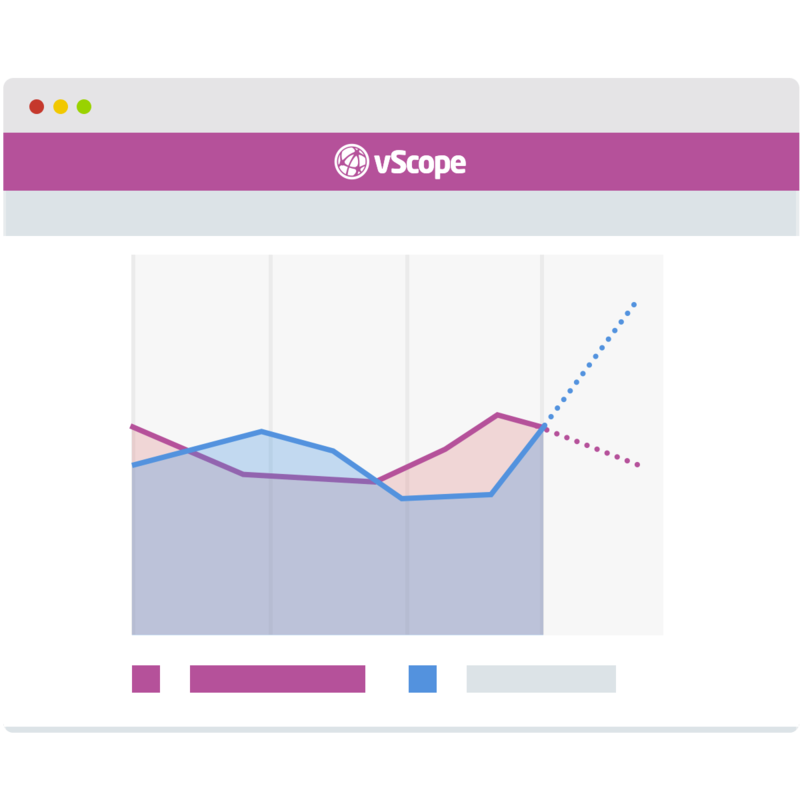 The possibility to visualize important information for the whole IT organization is one of the greatest benefits of vScope Storage. No need to rely on a colleague to gather the information for you! 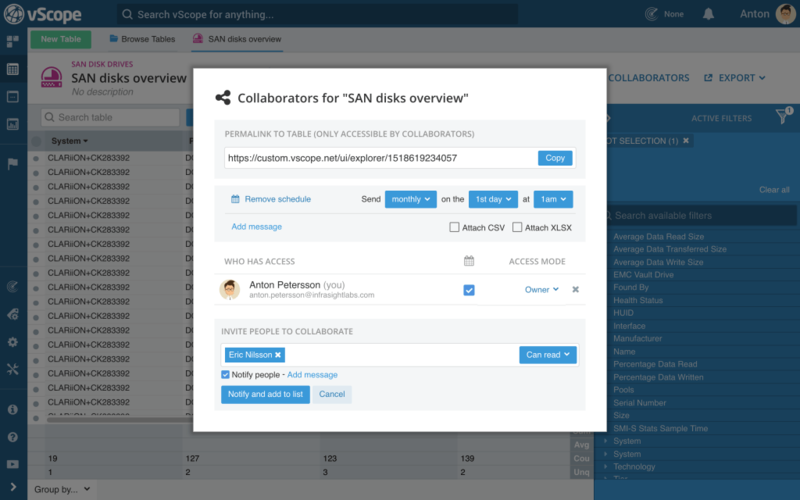 Safely sharing limited view external reports with parties outside of IT makes the Storage product helpful when communicating with system owners and planning for resources in your cross organizational projects. Having access to accurate information facilitates smarter decisions related to capacity planning and storage investments. Ensure that your storage configurations is on par with industry best practice. 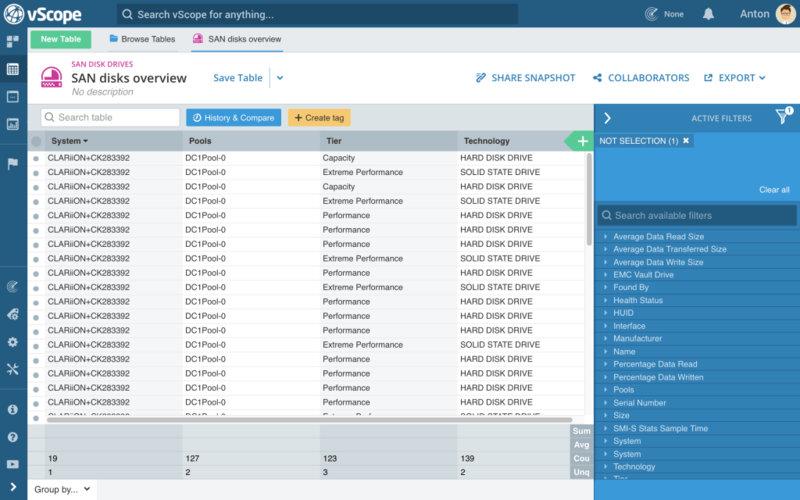 vScope’s bundled analysis will highlight important deviations and guide you to compliance and more secure storage. Make smarter investments based on more accurate information. Solve infrastructure bottlenecks by quickly pinpointing LUNs or other subsystem flaws. Track dependencies between machines and storage arrays and avoid downtime related to misconfigurations of subsystems. 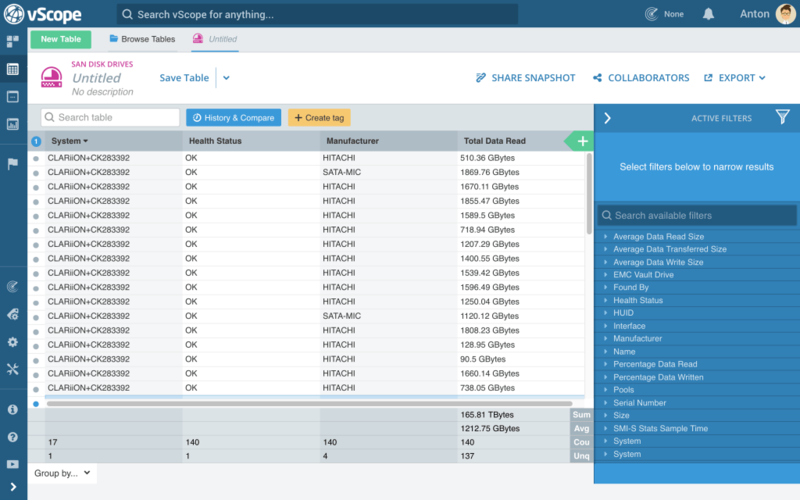 vScope Storage enables a variety of use cases for IT organizations. vScope is a subscription-based service with updates, service and support included. Products are licensed on the platform vScope Core, adapted to your environment and your situation. Every product is licensed based on “Billable Units” (BU). For vScope Server for example, this is computed on the number of Server OS. For vScope directory, it is based on accounts and groups, and so on. Read more about vScope products here. What can I inventory with vScope? vScope supports most technological platforms in a datacenter. VMware, Hyper-V, HTTP, WMI, WinRM, MSSQL, SSH, SMI-S, SNMP, Oracle, LDAP are some examples of protocols being used for network inventory. vScope will then automatically correlate the information from all these platforms, in order to give a complete picture of your IT. How do I get started with vScope? You can download vScope for free from our download page. The installation will only take a few minutes. By doing this you will get a chance to explore vScope. Try it today! We at InfraSight Labs will gladly help you get started. We do this through an assisted trial where our product experts help you customize vScope, and train you based on your needs. Read more about this and other trial offers here. We already have monitoring. How do we use vScope? Monitoring supplies you with valuable information when things go wrong. Simply put, it gives you red and green lights for the current status of your environment. 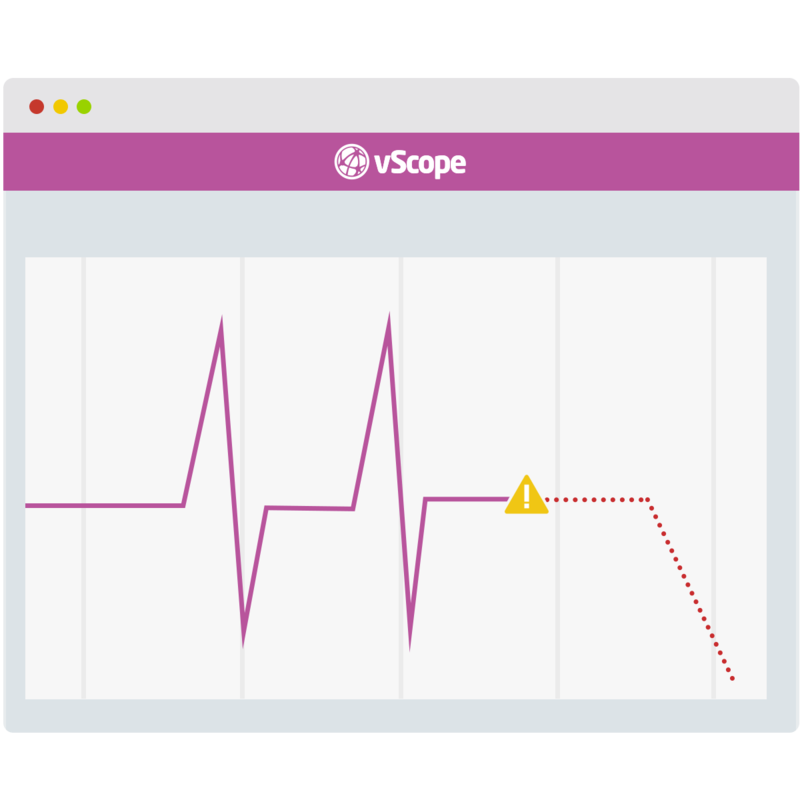 vScope is not real-time monitoring, but instead enables a more proactive approach to running your IT-operations. It’s an IT library, with all configurations and relations in one view!